We all need hobbies and interests to keep us occupied and help us detach from regular life. Let’s be honest, we are all working far too hard these days, and many of us don’t take the time to simply relax and unwind. It’s important to have other interests and channel your thoughts and feelings into other things. This keeps you from becoming too stressed and helps to keep you healthier in the long run. 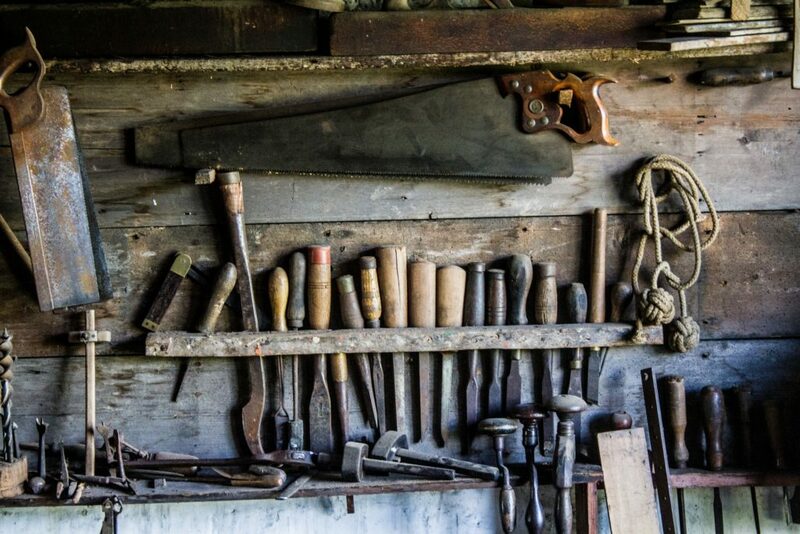 One of the best hobbies we can recommend is setting up a workshop. There are so many benefits to this, because, as well as being a hobby it can also help you get more creative, and provide convenience for you as well. 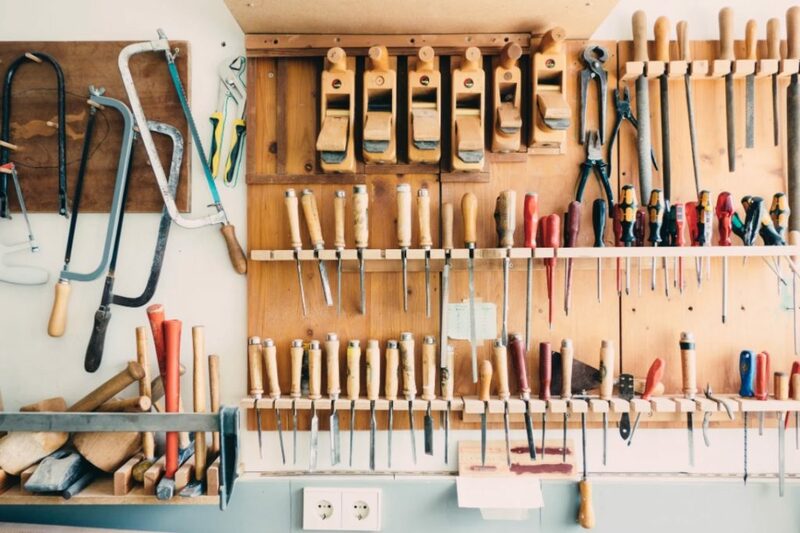 So, if you are serious about setting up a workshop where you can craft your latest masterpiece, here are some top home workshop ideas. First things first, if you want the perfect home workshop you’re going to need the perfect space to set it up. This is the most important part of the initial process, and you have to sort this before anything else. If you have a garage then you’re almost there already because it’s the perfect place to set up your very own workshop. With their tolerance for noise, dust, and grime, garages have been flying the flag for DIY workshops for some time now. And, if you have a sizeable garage, with plenty of storage space, you have the ideal location to set up your workshop. Okay, now we get to the fun part, tooling up! Now you’ve sorted out where you’re going to house your workshop, it’s time to start getting the stuff that will go inside. At the moment the workshop is just a shell, and it’s your job to breathe new life into it with a stunning array of tools, materials, and equipment. This is going to mean an exciting, if expensive, trip to The Home Depot to pick out some personal favorites – an impact driver and a power saw should be top of the list! Also make sure you stock up on raw materials, such as wood and metal, these are going to be invaluable in your workspace. 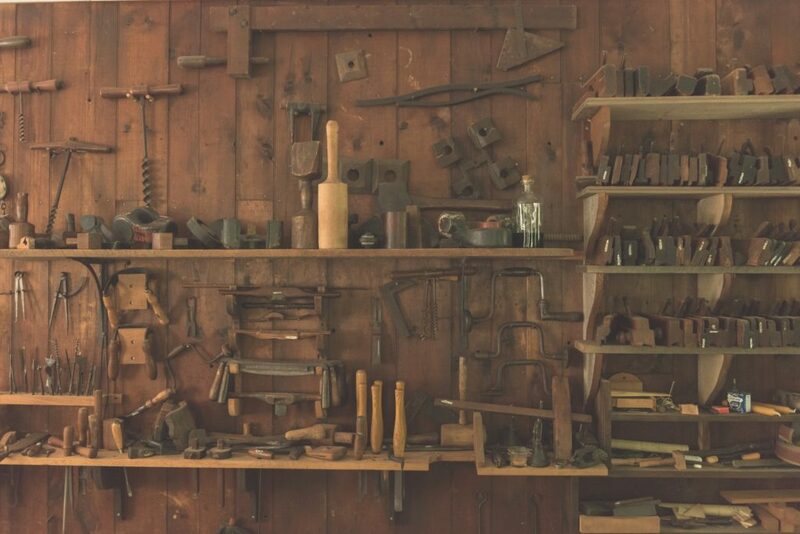 Organization is the key to anything, and you have to make sure your workshop is well laid out, and there is some kind of order, or it will be chaos. Make sure you have a large workbench to get you started; there should also be a tool cabinet to keep your new shiny purchases in! We would suggest setting up some cabinets and shelving units to make things neater and tidier, and for storage space. You need to keep a clean and well-maintained area, as this will be conducive to a better and more productive working environment. Decorating a workshop is kind of optional, but we feel that it’s an excellent way of leaving your personal imprint on the place. You can inject your own personality, and pretty much do what you want within reason. Not allowed free rein to decorate the rooms in the house? Well, that’s no longer a problem because now you can take out your creative frustrations on the workshop and mold it in your image! Aren’t these just some great ideas for creating your very own home workshop? Traditionally the fortress of solitude for frustrated creatives across the land, the home workshop is now a ubiquitous slice of Americana. And, if you have the space to create your own, you can start getting to work on that new set of kitchen table and chairs you’ve spent years talking about!